In this article we derive semi-analytical/numerical solutions for transport phenomena (momentum, heat and mass transfer) in a nanofluid regime adjacent to a nonlinearly porous stretching sheet by means of the Homotopy analysis method (HAM). The governing equations are reduced to a nonlinear, coupled, non-similar, ordinary differential equation system via appropriate similarity transformations. This system is solved under physically realistic boundary conditions to compute stream function, velocity, temperature and concentration function distributions. 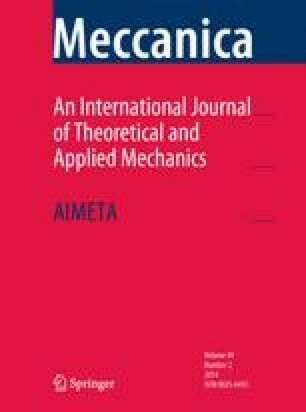 The results of the present study are compared with numerical quadrature solutions employing a shooting technique with excellent correlation. Furthermore the current HAM solutions demonstrate very good correlation with the non-transpiring finite element solutions of Rana and Bhargava (Commun. Nonlinear Sci. Numer. Simul. 17:212–226, 2012). The influence of stretching parameter, transpiration (wall suction/injection) Prandtl number, Brownian motion parameter, thermophoresis parameter and Lewis number on velocity, temperature and concentration functions is illustrated graphically. Transpiration is shown to exert a substantial influence on flow characteristics. Applications of the study include industrial nanotechnological fabrication processes.